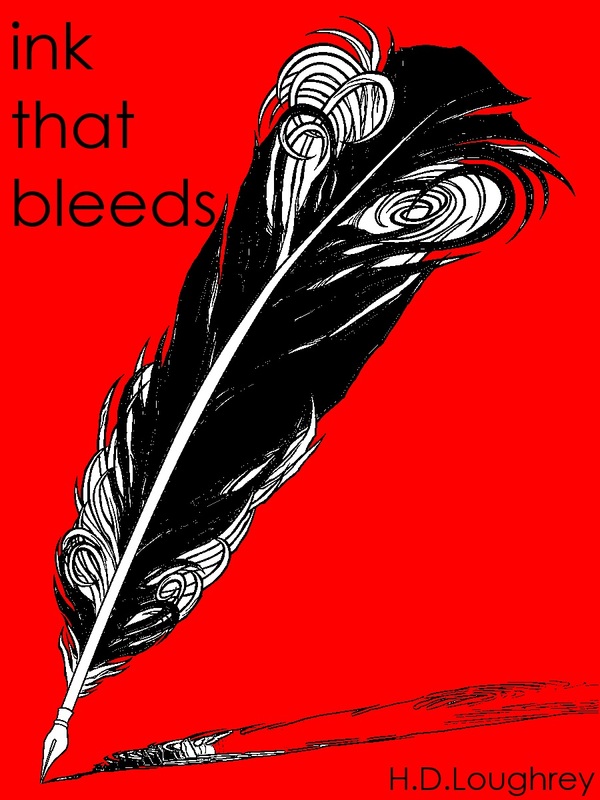 I will be posting extracts from a range of short stories from my collection, Ink That Bleeds. Row upon row of empty, fleshless skins swayed upon a gentle breeze from the electric doors. The tiny forms in blue and pink and white hung from floor to ceiling, while wide-eyed customers stopped to stare at them, reaching up. Emily stood among them, eyes raised, searching the hangers. Fingers with chewed nails clutched the pleats of her skirt, tendrils of sweat snaked across her palms and she wiped them on her school uniform. Her aunt, who wasn’t really her aunt, had told her that this was the place to come. For this was the place where some of the most reverent prayers and most desperate deals with the devil are made. Emily had been forced to stay with her aunt while her mother spent every night at the hospital. Emily hated staying with her. But there was no-one else. One evening, Emily had wandered into the wide living room with bare walls and asked the question she’d asked many others. They had all responded with a sympathetic tilt of the head and a worried look cast down at their shoes. The aunt, who wasn’t an aunt, had spun around with a twisted smile and thrown her arms wide open. “Ha!” The laugh had erupted like a thunder clap from the woman’s throat. “Take yourself down to Mother & Baby. Go stand by the premature baby clothing line. That’s where all the deals are made.” The aunt, who wasn’t an aunt at all, had tripped over her scuffed high heels as she stood, spilling her drink onto Emily’s shoulder. Flecks of brown peppered the white of Emily’s school shirt. She hadn’t stopped to change before catching the bus to the high street, where Mother & Baby sat amongst the other glass-fronted, high-ceilinged stores. The baby grows reached the whole length of the shop and high up towards the bright electric lights above them. It was only when Emily’s desperate eyes moved to the back of the shop, where the lights were dimming, a red sign seemed to melt into being. Emily stepped towards the sign, turning her body to avoid the swollen bellies that blocked her way. The size of them made her wince. She stood alone; the others waddled towards the cots and cradles where the fluorescent lights fluttered, reflecting blues and pinks across the white floor. Emily focussed on the white letters on red card. She pushed her blonde hair away from her eyes and attempted to flatten her curls with the palm of her hand. A stray hair fell into her eyes and she pulled it away; a pinprick of pain pierced her scalp. She wondered if she needed to speak, if there were magic words. If she’d stayed longer, she might have thought to ask the woman who wasn’t her aunt. Though she suspected that the woman wouldn’t have known the right words to say. Just as she opened her dry mouth to speak some trite but well sounding summons, a grey hand slipped from between the hangers. The long, knarled fingers swept over the soft fabric and rested on a rack of white baby grows with a pattern of stars and moons. The pale skin over the bulky knuckles tightened as it gripped the clothing. Short, white fingernails reflected the silver light from the bulbs above. Emily stared at it, immobilised, her mouth still open in anticipation of words, her pink hands frozen in tiny fists by her sides. A second hand appeared, this time over a blue baby grow with the word ‘mummy’ emblazoned across the middle. There were other words too, but Emily couldn’t see them. With force, the two hands clenched and tightened, as if attempting to pull something towards them. Slowly, a grey face appeared between the racks and a pair of red eyes met Emily’s horrified stare. The face was round, with ashen skin. There was a sense of fragility about its appearance; cracks seemed to appear in the cheeks and across the forehead. One breath might have knocked its features out of place. Only the eyes were pure fire; a red that looked like no other red that Emily had seen, like looking into the eye of the sun. A chill spread through her bones and yet, at the same time, waves of heat seemed to rise up through the tiled floor and roar in her ears. Emily stared into the simmering orbs with a cold, immobilising fear. And a deep, unyielding desire. “You don’t need to speak.” The voice fell from the grey face like ash swept into the wind. “It is your desire that calls me.” It regarded Emily for a moment, its eyes unmoving. She knew then, she need hardly speak at all. “Please.” The word was more like a moan, a sigh. In her mind, images of her mother and sister flickered like a batted eyelid. The red eyes blinked. Emily nodded. Her fists relaxed and she pressed her open palms against her thighs. For the first time, the face moved. It turned its cheeks to the side and moved the red eyes across the other customers milling around the shop. The eyes burned brighter and another crack appeared in the furrows across the forehead. “A son …” Emily repeated the words in a hoarse voice, her eyes lowering to the floor. The piercing scarlet orbs peeled their way down the soft, white skin of her bare arm. A silver tongue slipped between cracked lips and flakes of grey fluttered to the shop floor. Emily pulled her arms across her chest and turned to watch the blooming expectant mothers browsing and dreaming as they wandered between the shelves. She pictured her mother amongst them. But she couldn’t move amongst the shelves in their carefree manner; she spent her days sitting in a premature baby unit, sobbing against a glass box. Without meeting the red eyes with her own blue ones, Emily reached out her arm. Her fingers twitched as she moved closer and the grey arm reached out in return. The tips of their fingers brushed against each other. Emily took a small step towards the rack, her arm stretched as far as it would go, her body turned away. The dull, powdery fingers grew longer as she approached. With eyes fixed on them, Emily watched as they swam through the air before her, stretching into thin silver tentacles that were topped with a white fingernail. The nails began to grow as well, expanding into a thin, shiny point like a blade. Emily stopped moving and held her arm in place, as the glistening pincers approached. She closed her eyes. The nails sang like birds as they whipped through the air. Emily felt the sting as they pierced her skin and her blood roared in her ears. Another high note was sung as his arm came down again. There was a loud thud as something heavy hit the white shop floor. The pain seared through Emily and brought her to her knees. She landed in a red pool and slipped in the wet, falling onto her side. Above her head, a crimson fountain spurted across the row of white baby grows. She turned her head towards the mothers-to-be and aimed her screams at them. When her mouth opened, no sound came out. Her head fell back into the dark pool that was spreading around her. Beside her cheek lay her severed arm. The grey hand hovered above her head, the nails gradually shrank back to their original size. It passed over her trembling form and moved towards the bloody stump that was showering the baby clothes in red. Emily twisted her body, attempting to move away, but the fingers danced towards her, unrelenting. When the hand touched her, she expected it to be cold. She expected the dry skin to crack as it moved. Instead, when the hand closed over what was left of her arm, it burned with a ferocious fire, cauterising the wound in an instant. The pain was gone. The pool of red rose up in waves and swept underneath the rack of baby grows, disappearing into the darkness behind them. Emily could hear a terrible sound, like a dog lapping up water. She struggled to climb to her feet, unable to balance with only one arm. Through tear-streamed eyes, she searched the ground for her lost limb. She only saw the pink flash of her fingers as the arm disappeared between the hanging clothes. She ran to the rack to reach for it but it was gone. Emily froze, her eyes fixed on the bottom of the rack. After a few moments, another flash of pink appeared from beneath the swaying baby grows. Emily reached out with her good arm and pushed the tiny clothes aside. Laying beneath the rack, with grey fingers stroking its head, was a beautiful baby boy. Something swelled inside Emily. A high note that she’d never heard before rang in her ears like the buzzing of a magnet. She took a large step towards the sleeping baby. Her one arm reached out to stroke his arms and stomach. “And my sister?” Emily looked up. But the face and the fingers had gone. The baby grows, back to their brilliant white, were still and silent. Emily reached for one and removed it from its hanger, fumbling with her one hand to undo the tiny buttons. With great care, and great difficulty, she dressed the baby and cradled him in her one arm. She stood carefully, holding him tight to her chest. His head rested on her chest, his eyes shut, his tiny mouth moving in the soft murmurs of sleep. Emily manoeuvred carefully between the buggies and potties and nappies. She smiled at the other mothers and they turned to smile at her. Their eyes flickered from the stump protruding from her stained white shirt to the baby nestling against her. As Emily left the shop, she heard a muttered whisper. “The poor dear, it’s amazing how they manage, isn’t it?” Emily didn’t turn. She only had eyes for the baby cradled in her arm. Mutterings and whispers. Half glances and glares. They grew in their frequency and contempt to form a billowing cloak of disdain around Emily and her son. She bore it well, wrapping the suspicion around them, using it to bind her son even closer to her. Even when her son was removed from his playschool for dropping knives into lunch boxes. Or when he was expelled from school for lighting teachers on fire. Or when his first girlfriend was found hanging from the porch outside Emily’s house. She fought off the bile with her one good arm. And then turned to curl it around her son’s shoulders. On the morning of his eighteenth birthday, Emily stepped carefully into her son’s bedroom. The black curtains blocked most of the sunlight, until only tiny needles of light emerged from the edges of the fabric. As usual, the faded crimson bed sheets were pulled high over her son’s head, covering him completely as he slept. Emily smiled as she looked down at his sleeping form. She didn’t want him to sleep too late, not on his birthday. His aunt, who was really his aunt despite how close they were in age, would be coming to visit. She thought about opening the curtains, allowing the pale yellow light to flood the darkened room, but she didn’t want to wake him so abruptly. Instead, she crept to the side of his bed and knelt down beside him. Her presence didn’t wake him; he didn’t stir. The bed had long been too small for him. It was more like a child’s bed now. Emily cursed herself for not buying him a bigger one sooner. Perhaps that would have been a better idea for a birthday present, instead of the electric guitar that he had so desperately wanted. But she found it hard to deny him any request. She had even allowed him to grow his hair long, despite how unkempt it looked. Emily was sure his hair was the reason he had failed to get a job since being released from the juvenile detention centre. It draped over his face like a curtain, obscuring his olive skin and blue eyes. “You’re so handsome,” she whispered, as she often did when she knew he couldn’t hear her. Unable to stop herself, Emily reached out to the corner of the duvet and gripped it in her hand, longing to gaze upon her son in a moment of stillness and peace. As she took hold of the red fabric, a grey hand appeared from behind her shoulder and closed its fingers over her own. The skin on Emily’s hand began to burn. Whispers of steam rose from her singed knuckles until the heat began its roar deep in her eardrums. “Worry not.” The familiar tones of a voice like falling ash sent blades of fear along Emily’s skin. She felt something sink inside her and an ache, more painful than the severing of her arm, began to pulse somewhere behind her heart. “It’s time.” Emily’s words left her mouth in an almost inaudible uttering. The grey fingers squeezed her own. She winced. “It matters not. I gave you your sister. You gave me my son. The deal is complete.” Flutters of hot air kissed Emily’s cheek as the voice spoke. Emily nodded, her body crumbling beneath her. A blast of cold air blew all around her. When Emily looked up, the hand that had been closed over her own was gone. Her fingers still clasped the corner of her son’s red duvet. The skin on her hand was soft and white, as it had always been. Emily slumped against the bed, heaving laboured breaths out of her throat and into the silence of the room. Her hand, still grabbing the duvet, folded into a fist. Sobs rattled in her chest. Tears battered her face and neck. She fought a barrage of bile that rose from her stomach and stilled her trembling. Slowly, carefully, she peeled back the corner of the bed cover. Laying across the mattress, dripping tiny pools of blood into the sheets, was a small, pale-skinned severed arm.